Dr. Rob Douk has made it his life mission to make a difference - and to help others do the same. 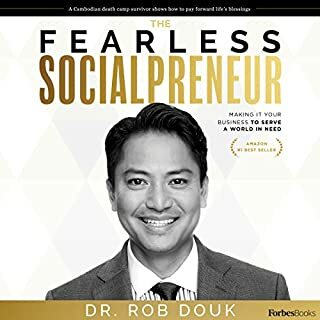 As a therapist turned socialpreneur, Douk has paved the way for companies with a strong social purpose to grow their business as they improve the world. The Fearless Socialpreneur outlines a series of five foundations and five principles that generate success for "socialpreneurs", those who launch innovative enterprises that achieve financial returns and social benefits. It is Douk's belief that good people working together can overcome any challenge to make a profound difference. It’s 2025. Tanner Moore is at the top of his game in the high-stakes world of big technology. As C.T.O. of Paragon, the largest corporation in the world, Tanner is about to release the greatest convenience innovation in the history of eCommerce - drone delivery services to every inch of the globe. But when an interview with journalist Amy Noral is secretly recorded and published by the clickbait media, Tanner’s fall from grace is swift and brutal. "I had a dream about heaven!" exclaimed Priyanka. Running up to her mom one morning, four-year-old Priyanka nonchalantly mentioned that Jesus had taken her and her two-year-old sister Deepika to heaven during the previous night. In the days that followed, the sisters amazed their parents with their vivid descriptions of what they saw and experienced in heaven and hell over the course of several visits there. Within the constraints of their limited preschool vocabulary, the girls described deep theological truths about eternity that often belied their years, speaking with remarkable clarity and boldness. 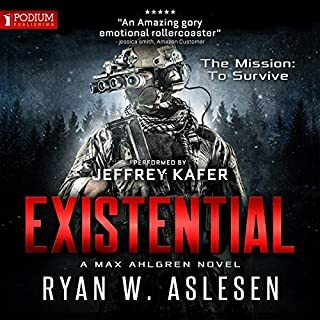 A raw account of a young American abroad grasping for meaning, this pulsating story of violent protests, illegal border crossings, and loss of innocence raises questions about the futility of borders and the irresistible power of nationalism. 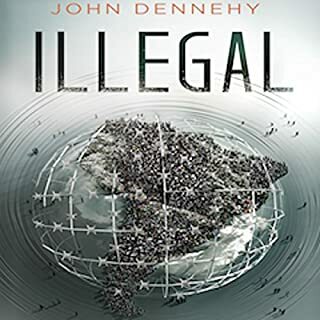 Illegal tells the true story of love, deception, revolutions, and deportations as it chronicles the trials of John Dennehy. A naïve New Yorker, Dennehy refuses to be part of the feverish nationalism of post 9/11 America. His search for hope takes him to Ecuador, where he falls in love with firebrand Lucia. Skilled in the art of flirtation, Edgar is not without his charms, and Penelope is attracted to him against her better judgment. 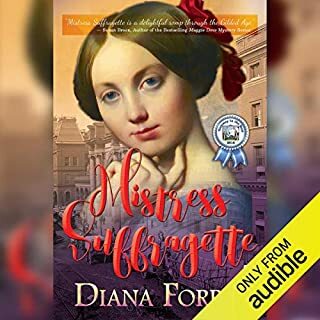 Initially, as Penelope grows into her own in the burgeoning women’s suffrage movement, Edgar exerts pressure, promising to use his power and access to help her advance. But can he be trusted, or are his words part of an elaborate mind game played between him and his wife? During an age where a woman’s reputation is her most valuable possession, Penelope must decide whether to compromise her principles for love, lust, and the allure of an easier life. When Alanthea, high priestess of Atlantis, connects to a woman in her dreams, she becomes haunted by a mystery. Compelled to trace the other woman's life, she finds coded poems that hold clues to the predicament of her people. Now she has to venture ever farther into forbidden territory to link past and present and understand the real danger threatening Atlantis. 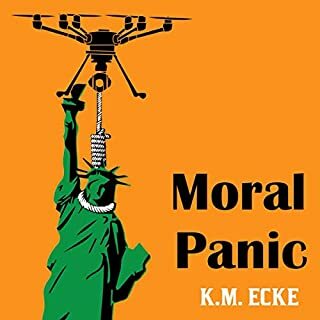 When Carl Traeger, a quick-witted bookstore owner in 1970s Seattle, is bequeathed a well-hidden book by his aunt, he quickly learns he inherited much more than for which he bargained. Carl's quiet life turns upside down when the German mob comes after him, willing to go to any lengths to get the book. But Carl is not alone. A bewitching secret agent, Randy McCutcheon, partners with him to find answers. While on the run, Carl and Randy discover a dark Nazi secret kept under wraps since the party's inception. Health-Wealth for You: 11 Steps to Save Big & Live Healthy teaches individuals and families a series of measurable money-saving tactics that will reduce spending on health care. Dr. Luke, a long-time hospital CEO, simplifies 11 proven steps that Americans can take to reduce health-care spending and improve access to doctors and other providers. In Interrupted Entrepreneurship, multigenerational family business member Raméz A. Baassiri seeks answers to an array of hurdles that every family business has faced and could face, not only from the perspective of his own family business but also from the viewpoint of dozens of family businesses that have confronted interruptions and not only weathered the storms, but thrived. Great storytelling and wonderful takeaways from an outstanding first book .... want more. Idi, called to protect the future king of Talia, needs the guidance of Marcus, a sagacious magician, to defeat the sinister Norvora. Yet, his greatest challenge will be overcoming his entrenched belief that he's stupid. Held prisoners within a magical orb, the Sister Witches wait to be released. When the prophesied one is crowned King, he will have the power to set them free. At all costs, he must be found and turned away from the evil that is seeping into the world of Talia. Idi’s life so far has been full of sorrow. He longs to leave the village and to go in search of adventure. 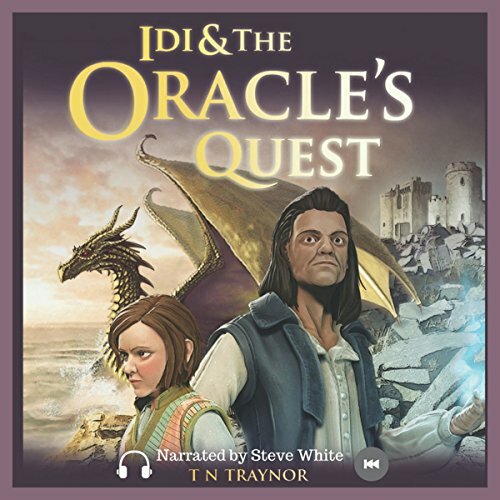 When Marcus the magician turns up and asks Idi to join him on a quest, Idi doesn’t hesitate. They set off together across the lands of Talia in search of the mother who bring the new King into their world. They must find her before Norvora and his minions do, the Oracle is relying on them to keep the new King safe. But the world of Talia is changing, the demons becoming bolder, and time is running out. The Witches must decide which side to fight on, and Idi must learn to be the greatest magician Talia has ever seen if he is to save them all. I wish this was all in ONE book instead of a ‘trilogy’! I loved this (almost?) MG magnificent quest adventure! An early murder the reader is witnessed to and an almost off the pages teen tryst/pregnancy and crowning birth- are the only concerns for younger readers. The characters were all loud and vivid. Very clearly defined. The plots and sub themes slowly came together and was both subtle yet almost perceivable. The fairies were incredible and shape shifters! I’m not a fan of most shape shifting fantasies but this worked. And I LIKED it. The antagonist was easily someone you wanted to punch in the face. Very cut and dry evil. If he has a redeeming quality, we’ve yet to see it. And since it was admitted his followers ‘used women for one reason only’, its highly unlikely to hope we’ll ever empathize with him. Our protagonist and his mentor are very Noblebright. I feel like we didn’t watch Idi grow; it was almost something that happened because we were told he changed. With the flipping back and forth with our main and supporting characters, timing was lost and unexplained or skipped over. For anyone accepting these minuscule flaws and is looking for a quick, incredible tale that will sweep you up and make you wish you had all three books to listen to in one day, I’d strongly recommend this. Steve White is a very talented voice actor. The over dozen characters had distinguishing voices and emotions. He was very easy to listen to and brought this audiobook to life. It was more than I expected. This was a fun story. I can't wait to see the next part... The characters were well thought out and the narration was done very nicely! This book was provided free of charge in exchange for a fair review. Thank You! Am not a big fan of fantasy novels but this one did hold my attention. Idi, a bullied orphan destined to meet the old washed out wizard Marcus. Marcus main focus was to find a princess and her baby in hiding. Yet, it was not easy finding this young woman and while he searched he took Idi under his wings and Idi had the makings of being a great wizard. Years later, they did find the young princess and her son but it ends with not everything turning out as they hoped. Of course, this just books 1 and hopefully, in book 2 all will turn out right. I liked the little snippets you got of the future, hints of what the characters were going to become. How awesome their story is going to be. Them little bits made me want to know how they were going to become this great person. Also nice to see the characters develop from a young age. I listened to the story on audible even though I was given the physical copy. (I can listen to audio at work = gets to it faster) It did feel like the story skipped in a few places, or that it could have been made clearer, that it was switching from character to character.